I’m offering one-on-one help for those who want private consultations. Simply send in a 20-minute video of your schooling session. It doesn’t have to be a full twenty minutes. I can be UP to twenty minutes so don’t feel it has to be a big production. It can simply be a ride from a competition test. Either way we’ll have lots to talk about. Once I’ve had a chance to review the video, We’ll get on the phone and have a 30 minute consultation where I analyze your ride and give you helpful exercises and tips to improve your ride. Seminars are designed for large groups. They provide the opportunity for riders at all levels to participate. The number of participants is unlimited. The day starts with a lecture. Lectures usually cover both sports psychology and riding theory but can be tailored to meet the needs of your group. For example, they can be geared toward competition rather than training. The lecture is followed up with 5 mounted demonstrations. As the organizer, you provide the demonstration horses and riders. Line up 2 horses per session. Keep in mind that the demonstrations are geared to the auditors. They are not lessons for the riders to work on their specific training issues although riders usually come away with many useful tips for their own training. The demo horses and riders should be very established at their respective levels so they can actually show the techniques and concepts that are discussed. (i.e. If the horse is schooling at Second Level, it would be better for him to be put in a First Level group where the work is solidly established.) The first mounted session starts with your most basic riders and progresses through whatever levels you have available in your area. If the majority of the riders in your area are working at Training and First Level, then most of the sessions will be relevant to those levels. If the riders in your area range from Training Level through FEI levels, then your groups should reflect those levels. 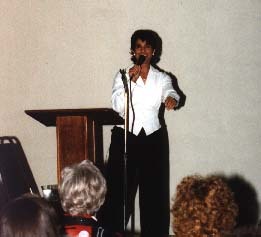 The fee for seminars is $50/person/day plus expenses for a minimum of $2,000/day. (i.e. 1-40 people is $2,000, 41 people is $2,050, 50 people is $2,500 etc) Most groups charge between $75-$100/person/day and can easily cover the seminar fee and the expenses that way. Often groups keep costs down by seeking sponsorship or scholarships from groups such as local dressage clubs or The Dressage Foundation. Expenses include airfare, motel, meals. To estimate airfare, call your local travel agent. Travel from November through April is from West Palm Beach, Florida. Travel from May through October is from Burlington, Vermont. Your group also needs to provide a reliable sound system. A 10% deposit is required to hold the date. If I am unable to return home the evening of the seminar, there is a $500 travel fee for the following day. These programs are designed to help you deal with issues like fear, insecurity, anxiety, anger, or any other emotion that is preventing you from enjoying your riding, training, or competing. Jane will give you simple, practical tools that you can instantly implement to free yourself of these undesirable emotions. Twice each year, I will be accepting a very limited number of riders into my Elite coaching program. Seemingly complex concepts are broken down so that they’re easy to understand and implement when you’re on your own. The goal is to develop riders and trainers who can work independently, confidently, and productively without feeling “lost” or unsure of the quality of their work when a trainer isn’t around. We not only address training issues, but also you learn tools to help you deal with the sports psychology aspects of training and competing. Training is tailored to YOUR individual learning style (visual, kinesthetic auditory). 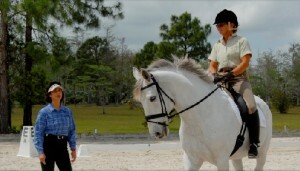 You work with a coach who is thoroughly invested and committed to the success and well-being of you and your horses. You’ll be working with someone who has coached at 3 Olympic Games, I’ve seen the big picture and know the steps you need to take to reach your goals whether you simply want to produce happy horses at home or whether your want to compete successfully and with poise and confidence. Custom-designed program for each of your horses to be reviewed and revamped as needed. Video reviews for progress checks to keep you on track in between the hands-on training sessions. Monthly phone consultations to discuss any and all training questions or sports psychology issues. Unlimited email access to me to answer any immediate questions that come up. A visit to one of the big shows in Wellington, Florida. We’ll sit together and I will critique each ride movement by movement, as well as study the horses and riders in the warm-up so you can develop your eye. Visits to top trainers’ (like Robert Dover) farms to watch the how they school their horses and riders. All of my books as well as home study courses like Happy Horse, Happy Horse Solutions, and Step-by-Step Dressage. A life-time membership to my Dressage Mentor online coaching site. Here is what some of Jane’s students have to say about their mentoring experience. In a very short time I feel things are moving in the direction that I desired. I love it! I can’t wait for our next session! Just got to tell you how thrilled I am by our conversations with each one getting more fulfilling/amazingly helpful/information packed/inspiring/encouraging. I get that feeling of gratitude washing over me you speak of in your book when I review our phone consults. BTW, your book is so good. I just read your approach/suggestion on what to do before entering the ring and when you look in the judges eye. I was knocked out! Just a perfect combination of mental tools for me. Mentoring has literally transformed my abilities as a competitor. I was always frustrated that I didn’t do as well in competition as in practice. In a very short time, I’ve gone from a mediocre competitor to always being in the top placings! The “lightbulb” moments that I’ve had during our sessions really have had a positive impact on my riding. Just wanted to let you know how muchI appreciate your wisdom and insight in helping me along this journey. After several bad injuries, my fears had stopped me from progressing and, more importantly, enjoying the sport and the animals I love so dearly. Our sessions have allowed me to cope with my fears. Both my horse and I thank you for making such a difference.